This guys knows catchy country. 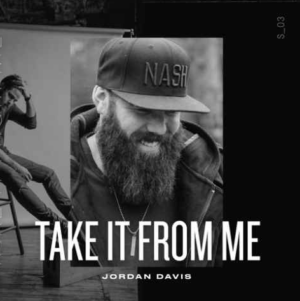 MCA Nashville has Jordan Davis as one of their big new artists. They launched the career of Sam Hunt a few years ago and that’s off to an incredible start. Things look up for Jordan. It’s still a little weird to me with how music is released today. The first single from Jordan was a great one, Singles You Up. I thought that one was still climbing all the charts. It looks like it was about the top 30 at country radio. And I know it’s been getting all kinds of streams. I don’t know that it was time to put that one on the shelf for a new one, but we have a new song. Maybe this is just a little extra something while Singles still makes its climb. Either way, it’s another great new country song. Talk about catchy. Jordan is 2 for 2 so far with his singles. This one and the first one are two of the most catchy songs on country radio right now. And I love a good catchy country song. I don’t think they’re easy to do. They can come off as campy and simple if not done right. But Jordan seems to have the skill. This one seems to be the story of a guy that’s completely fallen for a girl. He’s hoping she feels the same way, but he’s all in. She can whatever she wants. Borrow a sweatshirt? Yep. Borrow the car? Heck, you can have it. He’s all in on this new love and he’s ready for the next step.